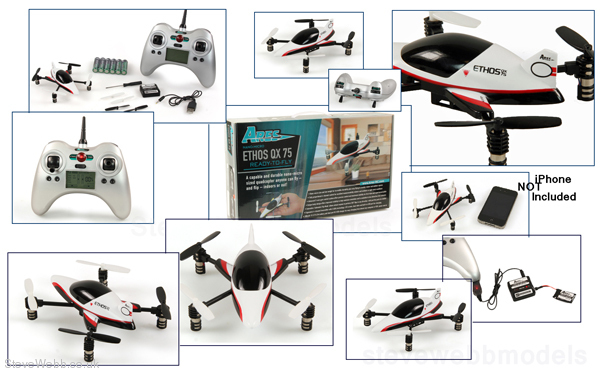 The Ares™ [air-eez] Ethos QX 75 may be small in size but it's big on performance and capability for both first-time and experienced quadcopter pilots. 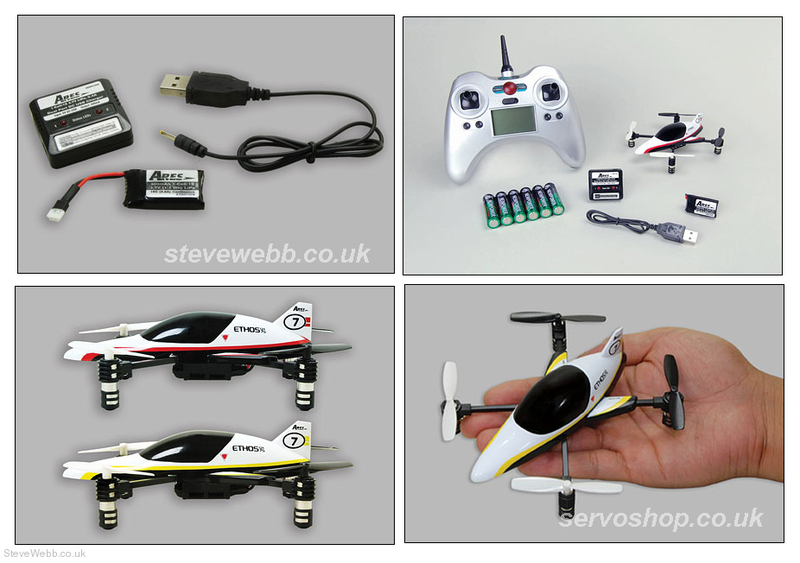 The advanced 3-axis gyro control system offers precise control and maximum stability while the nano-micro size allows for easy flying in smaller indoor spaces and fully proportional 4-channel control offers plenty of manoeuvrability for flying outdoors in light wind conditions too. The innovative 'Automatic Flip Mode' allows almost anyone to perform 360° flips with just the push of a button on the transmitter and the unique body design offers improved visibility to help maintain orientation. An advanced design and composite materials result in low weight and incredible durability plus the airframe is 100% factory-assembled and ready-to-fly right out of the box — no tools or assembly required! Also in the box is everything needed to fly including AA batteries for the ergonomic 4-channel transmitter equipped with 2.4GHz technology, an LCD screen, dual rates and a built-in USB port, a class-leading 300mAh 1S 3.7V LiPo battery and a dual port DC USB charger for charging from almost any computer or USB power source. That means there’s nothing extra to buy and you can be ready to fly within minutes of opening the box. 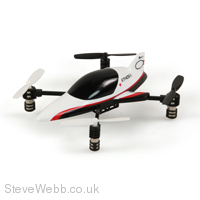 So whether you're a first-time or experienced pilot, there’s no better way to enjoy nano-micro sized quadcopter flying and no better value than the Ethos QX 75!